Carolyn Woodgate graduated from Northumbria University’s Law School, one of the largest law schools in the UK, in 2009 after completing the four year LLB Hons exempting degree. Carolyn was born in Newcastle and has lived in the North East all of her life. After graduating, she immediately began her legal career working as a paralegal with a local law firm before securing a training contract there shortly after. 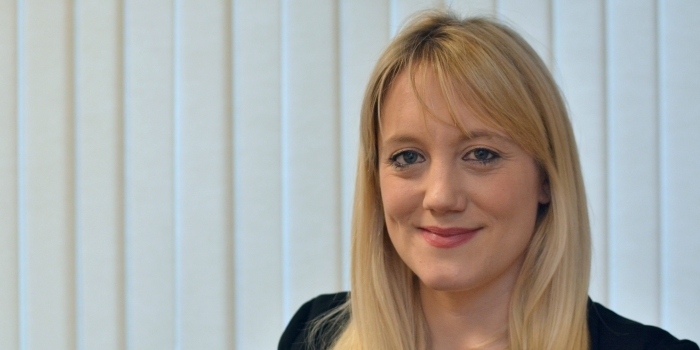 Upon qualifying as a solicitor in March 2013, Carolyn initially handled a varied caseload of catastrophic personal injury and occupational health matters. Having always had a keen interest in the area of clinical negligence, Carolyn later began working in the clinical risk department of a national law firm in October 2015 before joining the clinical negligence team at Freemans two years later. Carolyn has a wealth of experience in all aspects of clinical negligence law and has a varied and complex case load. In particular, Carolyn has a particular interest and expertise in fatality cases, misdiagnosis or delayed diagnosis of cancer cases, failures in general/orthopaedic medicine and surgical injury matters. Carolyn is aware that for many clients, their first experience of having to deal with a solicitor may be to discuss private and life changing consequences as a result of substandard medical treatment. Carolyn prides herself on putting her clients at ease right from the initial meeting and strives to provide constant guidance and support over the course of the entire claim, ultimately ensuring the best possible outcome for them. Carolyn is a member of the Law Society of England & Wales and the North East Medico-Legal Society. Outside of work, Carolyn enjoys spending time with family and friends and enjoys keeping fit by walking her Old English sheepdog. She also has a keen interest in travelling and music.